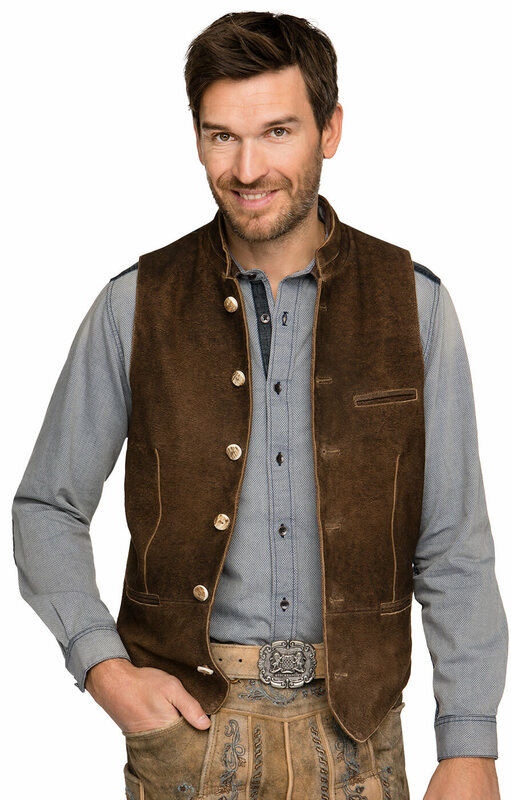 This full-leather vest is a key piece from the traditional fashion collection "Original Stockerpoint". 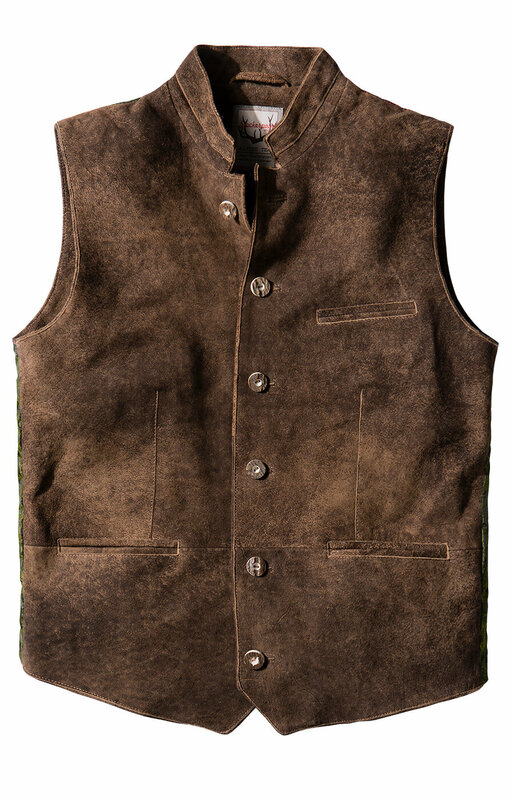 Rustic suede leather with piped pockets and open cut edges on the front and collar. 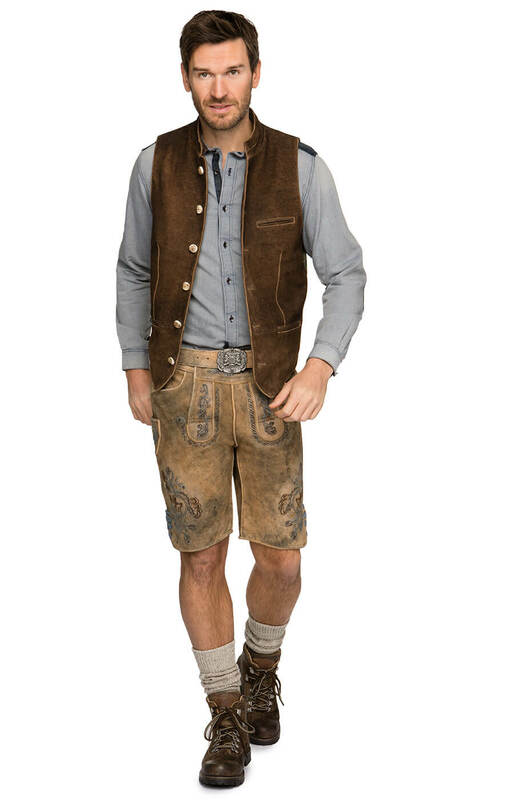 Young great casual look. Real stag horn buttons. 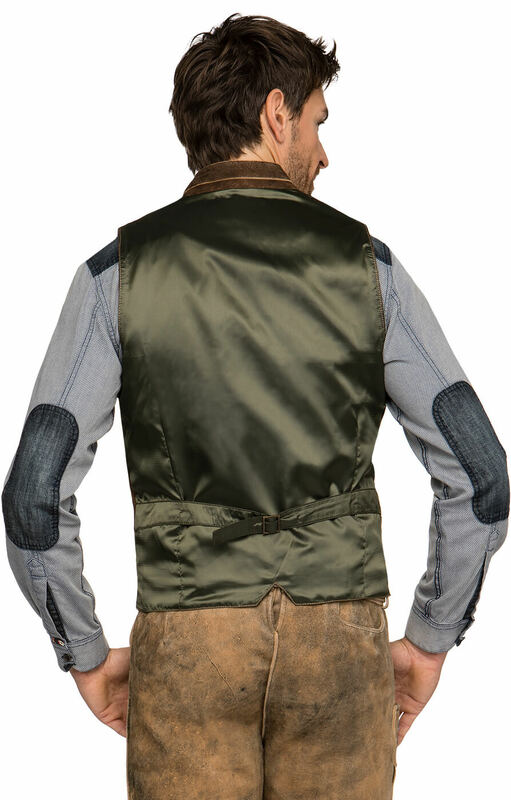 The back is in rich green satin. 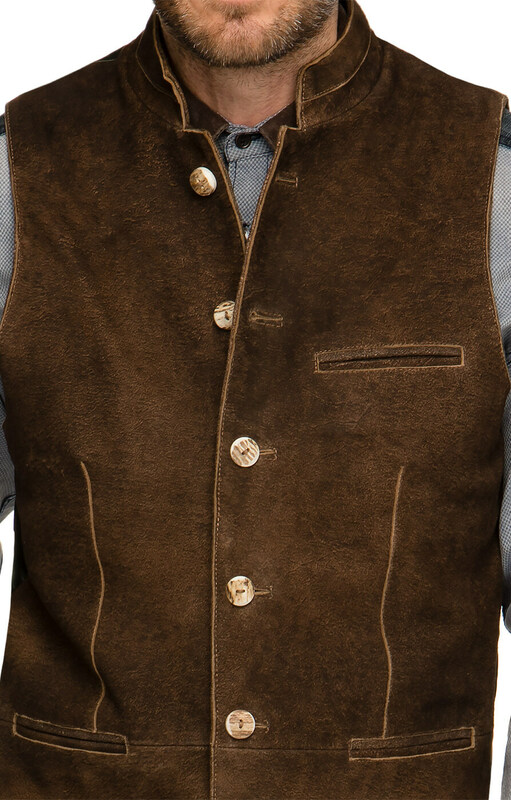 The vest is width adjustable across the back with a back buckle. 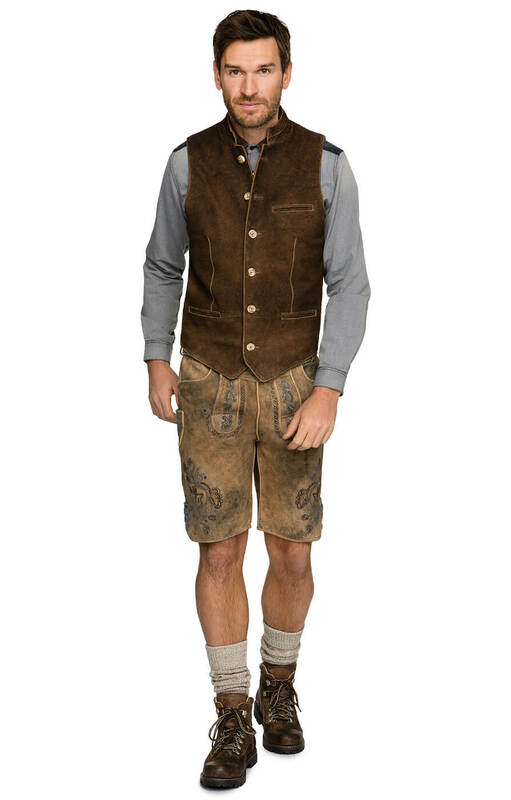 Inside, the vest is equipped with 2 inside pockets and can be combined with any bottoms as a single vest. Zal zeker in de toekomst nog wel iets bestellen. Prijs en kwaliteit was zeer goed.